Green Beret Trying to Save Elephants Finds H.O.P.E. Christian Science Monitor: Giraffe Killing Produces More Outrage. Can Legal Hunting Help? Today is World Elephant Day. Will today be the day CITIES finally cites the facts supporting trophy hunting as the solution to Africa’s elephant poaching problem? On July 30, 2015, rangers in Kenya’s Tsavo National Park responded to reports of gunfire in the night. In a nation where all hunting is banned, such gunfire could only mean that poachers were operating within the park’s boundaries. In the light of dawn the grisly scene was clear: A family of 5 elephants gunned down in quick succession. Their faces had been crudely hacked away so the tusks the poachers were after could be hastily removed. Their bodies were left to rot in the sun. The lone survivor, a 6-7 month old calf, was now an orphan. Scenes like the one in Tsavo are too common in Kenya, a nation that has lost as much as 70% of its native big game since trophy hunting was outlawed in 1977. The year before the Tsavo massacre, the Kenya Wildlife Service reported that they had documented 137 elephants lost to poachers supplying an international, illicit market in ivory. The year before that, the number was 302—this data points to a wildlife crime spree that has led scientists to warn that elephants may be extinct in Africa by 2020 unless more effective conservation measures are enacted. Kenya and other nations have responded to scientists’ warnings by seeking to enact a complete ban on the commercial trade in ivory, legal or not. They are calling for all African elephants to be listed under Appendix 1 of the Convention on International Trade in Endangered Species (CITES,) the international treaty that helps to regulate the legal hunting of elephants and other wildlife worldwide. If they are successful, legal elephant hunting will be subjected to increased bureaucratic red tape, and that red tape could undermine the efficiency and effectiveness of some of the continent’s most successful elephant conservation programs. The U.S., which is also party to CITES, has not yet voiced whether it will support the proposal being advanced in the name of elephant conservation. The proposal will be debated at an upcoming meeting of convention parties beginning in late September. Going into that debate the US delegation should see the proposal for what it is: a knee jerk reaction to a serious problem that risks decreasing the economic value of elephants, and in turn encouraging the very poaching it is intended to curtail. Instead of looking to Kenya, the U.S. and others should look to the nations that have enjoyed some of the greatest success in conserving elephants – South Africa, Namibia and Zimbabwe – and seek to promote policies and programs that will facilitate the replication of their achievements. In Namibia, Zimbabwe and South Africa, elephant numbers are booming. This is due in large part because they are managed under well-regulated and well-funded conservation programs that leverage a highly developed trophy hunting industry to generate revenue, manage conflicts and create economic opportunities that invest rural people in the success of conservation areas. Since 1984 Namibia has seen her elephant population increase 192%, from a low of just under 7,000 to over 20,000 animals today. Zimbabwe’s elephant population has risen from around 25,000 in 1975 to a reported 67,954 in 2013, a number more than twice what is ecologically sustainable. 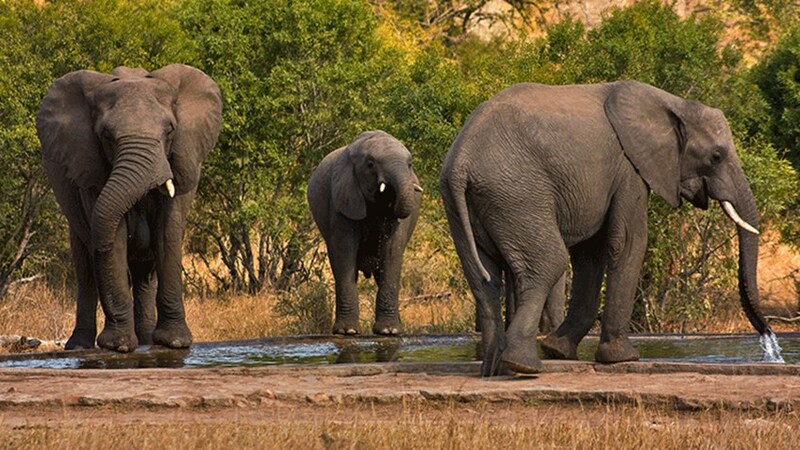 In South Africa, the elephant population has more than doubled from an estimated 10,000 in 1992 to over 20,000 in 2013. As in Zimbabwe, the number of elephants is no longer ecologically sustainable given the available habitat. These increases have occurred despite, or perhaps because of, CITES permitting 740 elephants to be killed by trophy hunters each year across the 3 nations. The presence of trophy hunting in turn has created nearly 27,000 jobs in communities inside and adjacent to the wildlands where elephants are found. This includes jobs as anti-poaching guards who collectively have kept elephant poaching relatively under control in comparison to nations like Kenya. For example, while Namibia has slightly fewer elephants than Kenya, the latter saw 7 times more poaching incidents between the years of 2012 and 2014. This occurred despite nongovernmental organizations (NGOs) and international donors investing tens of millions of dollars in efforts to arrest the crisis. Should the African elephant be listed under CITES Appendix 1, hunters from the US and elsewhere will face increased obstacles to shipping elephant trophies home. Additional permits will be required from both the range nation and the hunter’s country of citizenship. There is concern that some nations may respond to an Appendix 1 listing by enacting stricter regulations prohibiting all trophy imports or, at a minimum, apply new standards that will make importation more difficult under existing regulations. The increased bureaucracy threatens to discourage participation in sustainable elephant hunting programs. The anticipated impact is the loss of anti-poaching jobs supported by hunting, the financial insolvency of conservation areas elephants depend on and increased habitat loss as those areas are converted to agriculture. Moreover, with local jobs no longer depending on the conservation of healthy elephant populations, elephant poaching for short term economic gain can be expected to increase. Expanded regulation and bureaucracy will not secure a future for the African elephant. Only action can do that. Namibia, South Africa and Zimbabwe have shown the kinds of actions that are necessary, and what can deliver them so that elephants do not go the way of the dodo. The question that should be top of mind for all U.S. delegates to the CITES Conference of Parties is “does this help to deliver the actions that are proven to work, or does it get in their way?” Raindrops are falling on the deck of the ark. With elephants at the brink across much of Africa, there is no margin for error in judgment and no time to experiment with novel ideas. The world is watching. The future will judge us. Humanitarian Operations Protecting Elephants (“HOPE”) is a project which exists under the fiscal sponsorship of Wings Over America (“WoA”). WoA is a nonprofit public benefit corporation located in Laurel, Maryland, qualified as exempt from federal income tax under Section 501(c)(3) of the Internal Revenue Code (“IRC”) and classified as a public charity under IRC Sections 509(a)(1). The WoA Board of Directors has delegated oversight of HOPE’s activities to the individual members of the HOPE Advisory Committee, subject to the ultimate direction and fiduciary responsibility of the WoA Board. All gifts, contributions, and grants intended to support HOPE must be made to WoA. The WoA Board shall place all gifts, grants, contributions, and other revenues received by WoA for the purposes of the HOPE project into a restricted fund to be used for the sole benefit of HOPE’s mission. All money and the fair market value of all property in the restricted fund will be reported as the income of WoA on WoA’s financial statements and tax returns. The fiscal sponsorship agreement between WoA and HOPE provides WoA with the variance powers necessary to enable WoA to treat the restricted fund as WoA’s asset in accordance with Accounting Standards Codification (ASC) paragraphs ASC 958-605-25-25 and -26, formerly expressed in Statement No. 136 issued by the Financial Accounting Standards Board (FASB). The assets in the restricted fund are not subject to the claims of any creditor or to legal process resulting from activities of WoA unrelated to the HOPE."